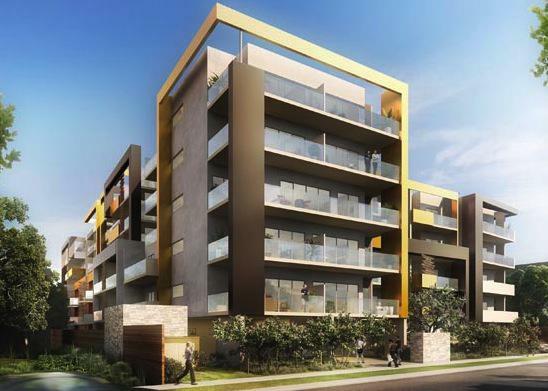 The Victorian Government has this week announced it has developed a series of options for buyers who have purchased apartments off the plan at Pace Development’s Evo residential tower in Parkville near Melbourne's East West Link project. Evo is a seven-storey apartment tower featuring 175 apartments and is scheduled for completion in November. Earlier this year, concerned investors took part in protests and established their own website, noroadtunnel.com, after learning that the building would eventually find itself at the heart of the government’s proposed East West Link project – surrounded by tollway ramps. Victorian Treasurer Michael O’Brien said this week’s announcement reflects the State Government’s commitment to treat people who may be affected by the East West Link project ‘fairly and with respect’. Mr O’Brien said apartment purchasers can discuss with the Linking Melbourne Authority (LMA) the required steps for LMA to buy out their contracts prior to settlement. “The Coalition Government is acutely aware of how the East West Link project could impact people purchasing apartments at the Evo development,” Mr O’Brien said. Option 1: LMA will assume the current contracts before settlement under a voluntary early purchase process. Option 2: the purchaser can proceed with settlement, but with the option of selling to LMA on a voluntary basis at any time within 90 days from the date the first option is made available. Option 3: the purchaser can proceed with the current contract and the normal processes regarding compensation under the Land Acquisition and Compensation Act will apply. At that time apartment owners can also request the LMA consider buying their property. Mr O’Brien said the option for apartment owners to transfer ownership to the LMA was not a compulsory acquisition and owners could proceed with settlement and move into their apartments if they wished. “It is clear from discussions with purchasers that a number of people wish to exit their contracts before settlement. The package announced today provides people with ability to do so, while allowing first home buyers to remain eligible for any applicable grants and stamp duty relief,” Mr O’Brien said. “People who have been eligible for the First Home Owners Grant and stamp duty relief who assign contracts or sell to the LMA will maintain eligibility for a future purchase. “Since the release of the reference design for the East West Link, LMA and the Coalition Government have moved quickly to minimise the uncertainty facing prospective apartment owners.